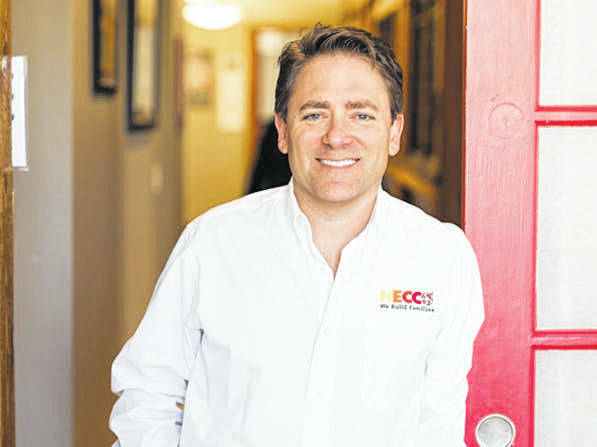 “The call to action, if you will, is ‘We always need more parents,’” said Edward “Beau” Necco, founder and CEO of Necco, a not-for-profit foster parent service serving several states including Ohio, West Virginia and Kentucky. Necco estimated there are 100,000 more kids in foster care since 2012, a 25 percent increase. “There is a definite shortage of foster families,” said Lorra Fuller, executive director of Scioto County Children Services. She said the County currently has about 250 kids waiting for someplace to call home. “Everybody needs a family,” Necco added. Readers probably can guess the reason for the big upswing in the number of kids needing foster care: drugs and addiction, especially addiction involving heroin and/or Fentanyl. Both Necco and Fuller said the ultimate goal is always to keep biological families together but both also said that’s just not always possible. And while the need for foster care has increased dramatically, Necco contends funding for such care has not come close to keeping pace, especially in Ohio, which according to Necco, is dead last among the 50 states in terms of funding for child welfare. Necco adds one of the big problems in Ohio is the means the state uses to fund childcare. Individual counties are largely left to fend for themselves. Necco said Columbus only matches whatever local dollars counties collect themselves. The result is, some kids are much better off in some counties than in others. Necco said it was his understanding Scioto County does not have a childcare for levy of its own. According to Fuller, that’s not the case. But she’s quick to add the system still is woefully underfunded. Fuller said the local levy brings in about $1 million a year which is used to cover boarding costs. “Unfortunately, our costs have almost doubled,” she added. Fuller stated the county will spend almost $2 million this year for boarding alone. Her organization has what Fuller described as a generous relationship with Scioto County Jobs and Family Services which helps with funding. Fuller went so far as to say Children Services would be in a desperate financial position if not for that relationship. Leadership has talked about the idea of floating an additional levy but so far has decided against taking that action. Some readers might think Necco and the county organization Fuller heads are in competition. “It’s not a competitive environment at all,” Necco said. Born in Appalachia and having earned an MBA from Arizona State University in 1996, Necco describes himself as a “social entrepreneur.” Although it might seem cliche, or corny, reading it on the page, when Necco says nothing feels better than helping kids, it does not seem to be either. According to the Necco website, the organization’s first office in Huntington, W.Va., cost them a mere hundred dollars a month including utilities. That was 20 years ago. Necco now employs over 500 people and contracts with nearly 2,000 foster parents in four states. Necco said over the years his organization has dealt with well over 25,000 families and arranged over 5,000 adoptions. While he was never a foster child himself, Necco said he was inspired to start his organization largely by his parents. His father was a university professor specializing in childhood behavior disorders while his mother ran Head Start programs in West Virginia. The first page of the Necco website talks about supposed myths surrounding how to become a foster parent and Necco spent a long time talking about those same issues. He said foster parents do not necessarily have to be married and they certainly don’t have to be rich. “Money is not a major issue,” Necco said. Fuller said foster parents receive a per diem for such items as food and clothing. She further emphasized every foster child receives a medical card which covers medical expenses including prescription drugs. She said parents can even be reimbursed for travel expenses to and from doctors’ offices. Necco said would be foster parents must go through 36 hours of training, be 21 years of age or older and, naturally, pass a background check. Home inspections usually are required. Fuller mentioned foster parents cannot have felonies on their record or any history of child abuse. How do kids end up in foster care? Both Necco and Fuller talked about “mandated reporters,” persons such as teachers or social workers who are required by law to report what they believe are instances of child neglect or abuse. Both again talked about the importance of trying to keep biological families together or bring them back together after whatever issues may have been present are handled. Those issues usually involve domestic violence or, as previously stated, addiction, Necco said. In summing up, Necco talked about how being a foster parent often benefits the parents as much, if not more, than the child. “It’s just pretty cool,” he said. 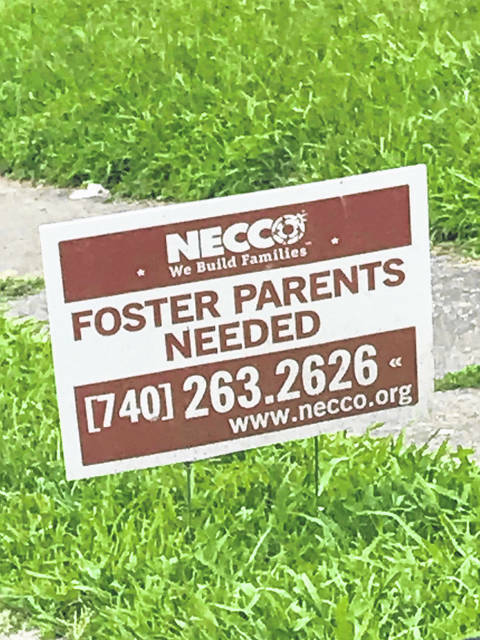 If you are interested in becoming a foster parent, you can reach the Necco organization online or call what is probably the closest Ohio office in South Point at (740) 263- 2626. Necco also has several offices in Kentucky and West Virginia that can be found on their website. You can reach Scioto County Children Services at their New Boston offices, (740) 456- 4164.